There are times in life where shortcuts are totally worth it and I'm always looking for shortcuts while getting ready. Because let's be honest, sleep is awesome and it's rare we get enough. 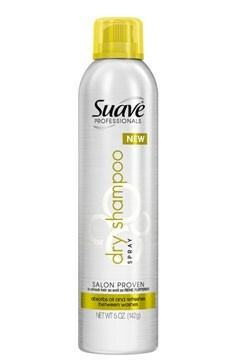 For quite sometime, I've been on the hunt for an affordable dry shampoo and I finally found one this weekend. Keep in mind, I have only used this product once, but I loved it. It smells great without being overwhelming and isn't sticky or heavy. My hair was straightened when I used it, so I'm not sure yet how it will do with curls, but I think that it'll still pass with flying colors. Up until now, I'd been using baby powder for next day freshness, but I believe I'll be retiring the faithful Johnson's & Johnson's from this point forward. So for those of you that are looking for a quick, efficient way for clean looking and smelling hair the next day, I recommend trying it! And for less than $5, what do you have to lose? Thank you!! I've been using a ridiculously expensive dry shampoo only because I couldn't find anything cheaper. I just added this to my Target shopping list. Awesome! Thanks! I've been looking for a good, affordable dry shampoo too- sounds like a winner!